°Weather is a beautiful, simple and feature rich weather client for iOS. It allows you to interact with the most accurate weather statistics available. 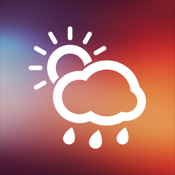 °Weather presents all the latest local/international weather information on the go. ° Get all the latest weather information in just seconds! ° Including Temperature, Wind Speed, Humidity, Visibility, and much more! We are committed to providing you with the best experience possible so if you have any problems, comments or feedback, please visit Aleksus support or email us directly at support@aleksus.co.uk, or www.aleksus.co.uk. We love to hear from you, so please do not hesitate to contact us.